The Kildare County Show on Sunday the 16th of June did not disappoint. The weather was a worry in the days leading up to the show but thankfully on Sunday the sun managed to break through the clouds and the rain stayed away for most of the day. 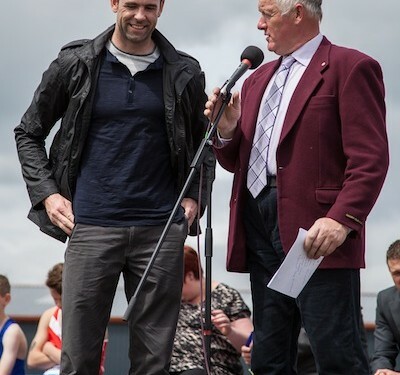 Every year the show committee search for someone to open the show and it was very excited to have All-Star GAA man Dermot Earley this year. On stage for the opening of the show along with Dermot it had many local community heroes and members of the committee. As usual the show had a large amount of attractions for all the family. One of the bigger attractions this year was the hunt chase. Teams of four riders ride individually over a course of fences and then pass the whip over to the next rider, a relay race. Another team then ride over an identical course at the same time. The first team to have all four riders finish wins. The competition was a qualifier for the final in the RDS at the Dublin Horse Show. Another big attraction this year was the dog agility and dog show. Dog agility is a dog sport in which a handler directs a dog through an obstacle course in a race for both time and accuracy. The dog agility course was run by Carlow Dog Training Club and was a big hit with dog lovers. On stage entertainment was a huge hit with big crowds around the presentation stands all day watching performances from the Shooting Stars Stage School, The Midlands Suzuki Violin School and the Shane Sullivan School of Music. “The local talent blows us away every year, thank you to all involved,” said secretary of the Kildare County Show Joyce Byrne. 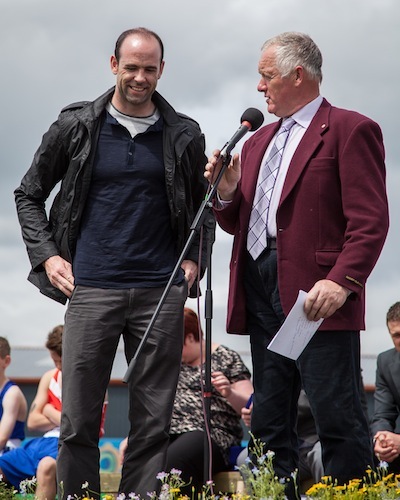 “The Kildare County Show could not take place each year with out its sponsors and volunteers. Many people don’t realise that Kildare County Show is a voluntary organisation and we are blessed to have an amazing team who come together and give their time and resources to bring a great show to the people of Kildare. Thank you to all our supporters and we look forward to doing it all again next year,” she added. For more information on this years show check out its website www.kildarecountyshow.ie.